Your financial partnership allows you to be part of supporting some of the most vulnerable women in our community. Free Peer Counselling to women experiencing pressure to have an unwanted abortion. 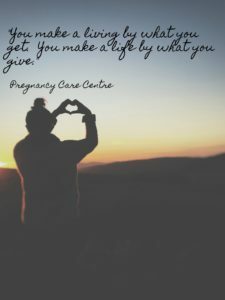 Options Counselling for women experiencing an unplanned pregnancy. After care services are provided with support groups for grief recovery. Canada Helps: Offers Credit Card and PayPal options. Click the link below.